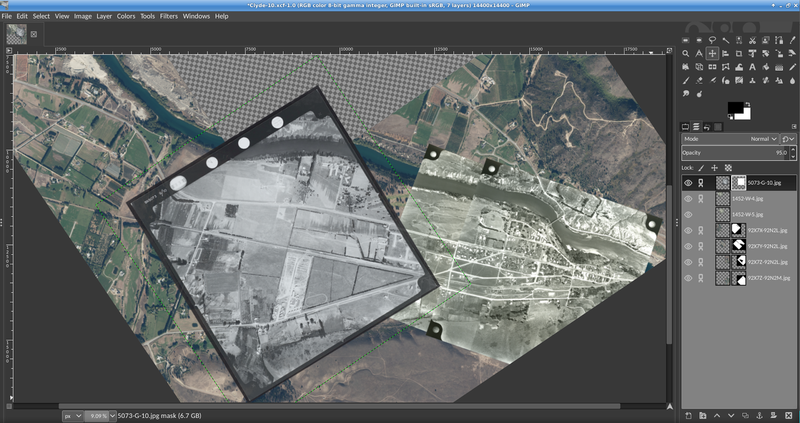 As the below image shows I am currently working on updates for Clyde with historical aerials. This is a more complex task than some of the others, even the Cromwell Gorge task, because there will be multiple images for some areas, and because of the overlapping multiple present day images. So it will take a while longer to put together all the images I am using and that's why this update is being posted for now.